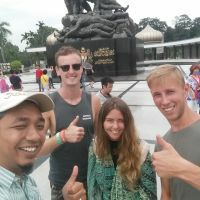 Kuala Lumpur City Tours and Local Experiences from Local Guddy I am your Private Driver and Tour Guide for your memorable time in Kuala Lumpur. I can provide airport transfer to/from any hotel in KL. Want to get the best city recommendations? I know the places for the best food and attractions here and can give lots of suggestions during our drive to your hotel. 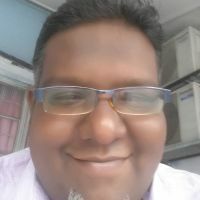 Places we will visit :- KL Twin Towers KL Tower Central Market Independence Square (Merdeka square) National Mosque National Monument Batu Caves Thean Hou Temple Brickfields (little india) Sultan's New Palace And others.. I drive a A/C MPV Car which can perfectly fit 1-4 persons. The itinerary as mentioned below is one of the tours I propose. Along the way, I would love to show you one of the most beautiful heritage sites of KL. The itinerary can be customized to your preferences, from visiting the Batu Caves to dropping by the Petronas Twin Towers. You will also learn all secrets about the diverse cultures in KL and discover hidden or less known places! It’s also a nice way to get a breath of fresh air and relax before we head to your hotel in the city centre. The pricing you see is an indication for a 6 hours private tour by car. Let’s create your perfect tour together! Looking forward to meeting you! Planning a travel to Kuala Lumpur? Login to create your trip plan so the guddies can offer you their tours! There are no travelers coming to Kuala Lumpur yet.